Flourish is a strengths-based collaborative project bringing together four student services departments on a post-secondary campus with the aim of building resilience of students in college and university settings. Its overarching mission is to help students grow intellectually, socially, and emotionally and to teach them concrete skills so that they can translate this growth into action, habit, and purpose. Broadly based on theories of positive psychology and student development, the programme aims to help all students in post-secondary educational settings, but first year students in particular, acquire concrete skills that build their emotional, academic, and physical resilience. The premise is that these components of resilience, in turn, will facilitate emotional, intellectual, and social growth of students towards flourishing. The programme starts with a comprehensive online assessment, which helps determine whether the student is flourishing, languishing, or functioning somewhere between these two states. The assessment includes a comprehensive feedback report and a rich repository of online and campus-wide resources to support their resilience. With staff from four student services departments and student leaders, students in the programme can participate in a range of interventions that support their resilience. This chapter describes Flourish, as a strengths-based assessment and intervention for young adults, in post-secondary settings. 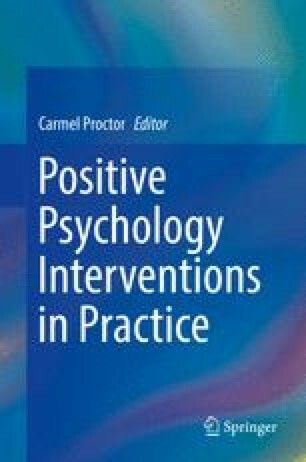 It describes the theoretical background of the Flourish assessment battery, programme interventions and initial results. The chapter concludes with a brief discussion about the future direction of the programme. This project, in part, was supported through the Mental Health Innovation Fund (MHIF) from the Ministry of Advanced Education and Skills Development. Curiosity: You find yourself interested in exploring new things. When things are not clear, you strive to explore them further. You are fascinated by new topics and constantly ask questions to discover more about them. You are able to focus sharply on acquiring new information about a specific topic. Also, you are open to experiencing new and different things. Kindness: You are a kind and generous person who loves doing favours and good deeds for others, even for those you don’t know well. You are never too busy to do a favour for a friend or family member; in fact, you enjoy doing that. You are always more inclined to give than to receive. Your acts of kindness are in the best interest of the other person, not to fulfil your own needs and wishes. Love of Learning: You love to learn new things—in school or on your own. You make very good use of opportunities where you can gain knowledge about skills, concept, ideas, and facts. You have always enjoyed school and reading. When it comes to learning, you are persistent; even if you get frustrated or distracted, you refocus and don’t give up until you have mastered the topic or skill. Gratitude: You never take things for granted and appreciate the good things in your life. When someone does a good thing for you, you just don’t say ‘thank you’, but also take time to express your heartfelt thanks through words and action. You recognise that it is important to sit down and regularly count your blessings. Therefore, you savour looking at the pictures and other memorabilia of the pleasant memories of the past. You share your joys and pleasant experiences with others with enthusiasm. Modesty and Humility: You always let your accomplishments speak for themselves and do not seek the spotlight. You do not regard yourself as a special person, nor do you insist on being treated specially. You usually do not use status symbols (e.g., brand-name clothes or products) to impress others. Also, if you excel at something, you do not make others feel bad who may not be good at that. You are aware of your shortcomings and do not hesitate to admit them. Others recognise you as a humble or modest person. Assignment: This relates to your ability to organise your personal time to ensure that you are able complete assignments in a timely and effective manner. Fostering strategies for managing assignments is essential to academic success. Campus Engagement: This represents your interest in becoming involved in university activities. Students engaged on campus take on leadership roles, join university clubs and organizations, and participate in extracurricular activities. Campus engagement is a strong predictor of student persistence. There are many ways of becoming involved on campus. Classroom Behaviour: This relates to your ability to engage with classroom material in a manner that allows for effective learning. Structuring your learning strategies to ensure that you learn at a manageable and efficient rate throughout the semester is important to effective learning and performance at university. Exam/Presentation Behavior: Exams and presentations provide a unique source of stress that many students can find particularly difficult to deal with, even if they are otherwise excellent students. Fortunately, as with all skills, learning strategies and practicing how to apply them can increase confidence and decrease the anxiety associated with exam writing and presentation delivery. Motivation: This is your level of commitment to your undergraduate education. Students committed to their education understand that a degree is essential to achieve academic and career goals and are committed to staying in school. Education commitment is one of the best predictors of student persistence. Many factors contribute to student motivation and you have the power to make changes in order to improve your own motivation. Resilience: This refers to how positively you might respond to challenging academic or life events. Resilient students are able to respond appropriately to life’s challenges and remain focused on their academic and career goals. By exercising your own personal and community resources, you are able to cultivate your own resiliency.